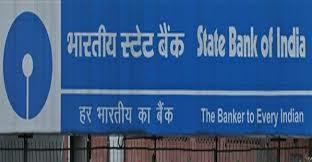 State Bank of India (SBI) Has Invited Application Form For 33 Officers. Age Limit: Candidates Applicant age should be between 26 to 40 Years (Post 1), 24 to 32 Years (Post 2), 24 to 35 Years (Post 3), 22 to 32 Years (Post 4), 25 to 35 Years (Post 5-9) As On 01-08-2016. Age relaxations will be applicable as per the rules. Educational Qualification: BE / B.Tech in Computer Science / Information Technology / Electronics, MBA or its equivalent qualification from a recognized Board/University. How to Apply: Eligible and Interested candidates may fill the online application through official website before or on 5th September 2016.